It's no secret that downtown Durham has changed drastically over the past few years. 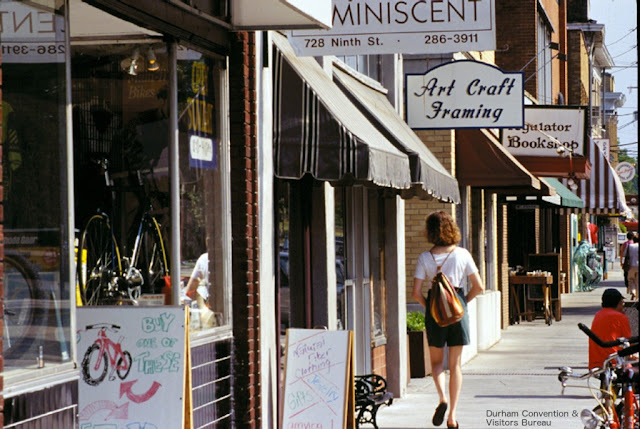 Downtown Durham Inc (DDI) is an organization that is responsible for the downtown business improvement district. They are charged with creating a vibrant, safe, and clean business district as well as being an engine for growth. At the beginning of 2017, Nicole J. Thompson was selected to lead DDI. I was lucky enough to get to interview Nicole, learn a little more about her and get a sense of where downtown Durham is headed. I had a lot of fun hearing Nicole's answers. I am encouraged that the leaders in the community understand the creativity, openness, and welcoming that makes Durham special. 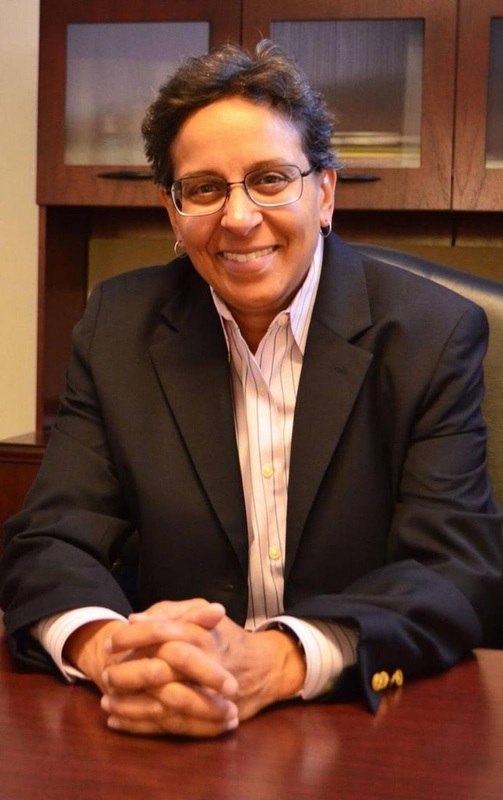 Everyone I have interacted with from a grassroots level, all the way up to the CEO of DDI wants to see a Durham that remains diverse and inclusive, even while it prospers. Thank you so much for agreeing to be interviewed. I wanted to start off by learning a little more about you! What are some of your hobbies and interests outside of your work with DDI? I enjoy running, hiking, and traveling. I’m also a fan of craft breweries and enjoy visiting and trying new brews/creations. You studied Political Science and Urban Studies at the University of Richmond as an undergrad. I am someone who found a love for cities and planning mid-career, so I would love to know the story of how you developed an interest in the field early on. When I started at Richmond, I didn’t have a major. I “declared” my major at the end of my sophomore year—mostly out of necessity. There was pressure from Career Planning and Placement to either declare a major or spend time with a counselor taking test to measure my aptitude and interests. To avoid that, I declared Political Science as a major because I had the most credit hours in that major at that time. It turned out that this was a great move—Political Science majors were required to do a semester intern—either at the VA General Assembly as a page or an internship at the state or local government level. I was placed with a newly created department within the City of Richmond—the Department of Economic Development. It was an awesome experience with a great group of guys (because when I started in this profession it was very male dominated) who mentored me and encouraged me to continue my studies in City Regional Planning at UNC-CH. I interned for one semester (second semester, junior year) and then worked part-time with that department until I graduated from UR in 1991. Since that time I’ve been exposed to so many aspects of economic development and, I believe, have a very well rounded understanding of economic development and appreciation of how economic development policies can help (and sometimes hurt if done in a vacuum) a community and its citizens, businesses, visitors, etc. As a graduate of UNC’s Masters in City and Regional Planning, you were first introduced to downtown Durham in the 90s. Can you talk a little about your internship and the goals of the N.C. Institute of Minority Economic Development? I interned and the worked for the NC Institute of Minority Economic Development for 3 years. While much smaller then compared to today, its mission has always been to be an advocate for minority communities and businesses by ensuring these important North Carolina assets are able to grow and develop through proactive policy and sound education as well as accessible opportunities. I worked on identifying and providing demographic and other important data/research to many of the state’s minority community development corporations and neighborhood organizations. At that time, the internet did not exist, so it was pulling information from a number of sources and providing it as needed in a easily accessible document. I know you don’t want the city to rest on how far it has come, but it is fun to take a quick peak in the rearview mirror once in a while. From your perspective, what’s the most striking difference between Durham in the 90s and Durham today? The amount and mix of people walking in and enjoying downtown—people who work, live, or are visiting downtown. It’s a great mix of all ages, ethnicities, genders, etc. and gives the city so much vitality and life. Second would be the wonderful mix of amenities—locally owned retail, restaurants, bars, entertainment spaces, open spaces and festivals and events. You have since spent parts of your career in Virginia and Colorado. What did you learn from those cities and regions that is applicable to current day Durham? That all localities, regardless of size or geography, are dealing with the same issues—encouraging and creating opportunities for growth and development while combating the impacts of this growth—affordability (residential and commercial), maintain the locality’s character, uniqueness, or soul, the push and pull of old vs. new, inclusion of minority communities, etc. What I have learned from this is the importance of listening to all perspectives and encouraging dialogue and collaboration. I firmly believe that all should benefit from a community’s growth but it’s not for me to determine how that benefit is realized—I must listen to the different perspectives and help where appropriate. I also believe that a community must continue to look for ways to remain vibrant and open to sustainable and smart growth so that there is always prosperity that can be shared. Why is Durham special in your eyes, both from a personal standpoint as well as a larger community/identity standpoint? Durham has always been a place where one could come and just be—even when others were overlooking Durham (in the 90s), Durham had a vibe that it was a place that welcomed all ideas, lifestyles, perspectives, etc. It has a long history of encouraging the entrepreneur and the start-up and the new—from its days when tobacco was king to the vibrancy of black wall street, to the city of medicine and innovation. What has been the biggest challenge or obstacle that DDI has faced over the past year? What's one idea or vision for Durham you have that has met the most resistance from the Durham community? A need to continue to support and encourage responsible commercial growth and development in downtown. At times this is in direct contradiction to the advocates pushing for affordable housing. DDI certainly supports and understands that there is a need for affordable housing but we also recognize downtown must remain Durham’s commercial and employment core. As you said, there is indeed a large emphasis in Durham on affordable housing. You have also championed affordable commercial space in the downtown district. Can you talk about why this initiative is important and the progress that you hope to make on it? Where appropriate, affordable space allows for small and locally owned businesses to remain a central part to downtown’s growth and these businesses are a large part of downtown’s vibrancy. Where we can, we need to support space that allows a small entrepreneur (and this includes our biotech, high tech, as well as retail and street level) to enter the market and grow. We’ve identified a number of owners of property in downtown and are working with them to explore how best to do this. Thank you so much for your time, Nicole.